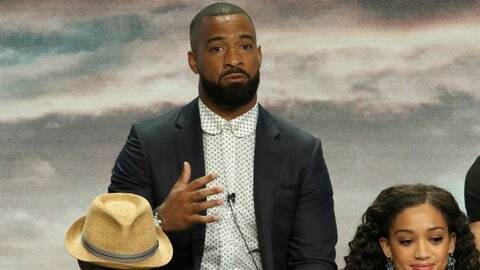 BEVERLY HILLS, Calif. (AP) — Former NFL player Spencer Paysinger is drawing on his high school days living between two worlds for his first major Hollywood project. Paysinger grew up in economically depressed South Los Angeles, but he attended Beverly Hills High School, where he captained the football team in the wealthy enclave. The culture shock he experienced is the basis for “All American,” debuting Oct. 10 on the CW. “I definitely had a gang influence with friends and family growing up in South Central, and people might think that Beverly Hills definitely shielded me from some problems. But in actuality, it only opened up a whole new can of worms,” Paysinger told a TV critics’ meeting on Monday. Paysinger commuted daily to high school as part of a program that brought students from other areas to Beverly Hills, where he had two uncles and an aunt who coached and taught there. Spencer eventually attended the University of Oregon and won a Super Bowl title with the New York Giants, one of four NFL teams he played for before achieving his goal of retiring from the league no later than age 30. The series shoots in some of Paysinger’s old haunts in South L.A., like a local park and the barbershop he has patronized since he was a kid. Producers hired a consulting firm that designs all of the football plays in the show, and consulting producer Paysinger wants to make sure the action is authentic. “I don’t want friends, I don’t want family texting, emailing me saying, ‘That’s not it. They couldn’t have converted on that,’ ” he said. Paysinger isn’t the only one with pro sports ties involved in the show. One of the writers is Jon Alston, who played five years in the NFL, and retired Major League Soccer player Robbie Rogers is a producer.